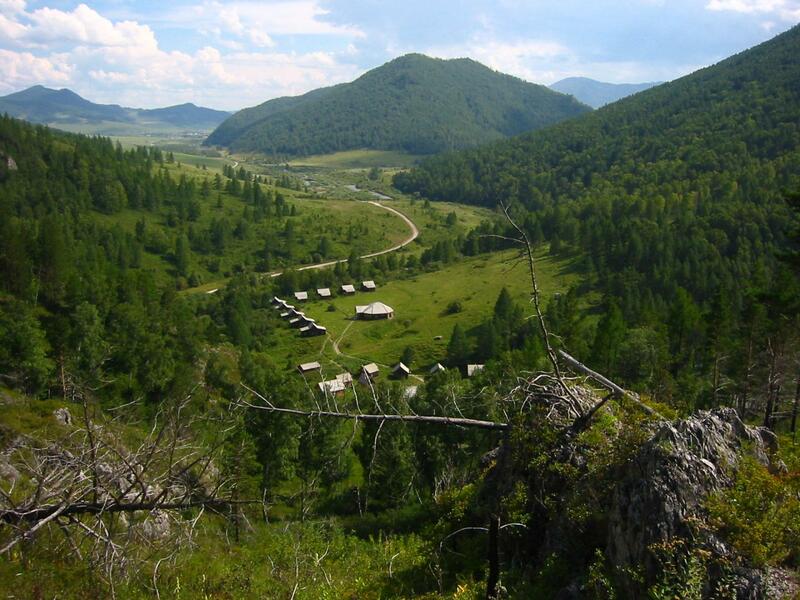 This is a view of the valley from above the Denisova Cave archaeological site, Russia. Photo: Bence Viola, Max Planck Institute for Evolutionary Anthropology. This bone fragment (‘Denisova 11’) was found in 2012 at Denisova Cave in Russia by Russian archaeologists and represents the daughter of a Neanderthal mother and a Denisovan father. Photo: T. Higham, University of Oxford. The ancient individual is only represented by a single small bone fragment. “The fragment is part of a long bone, and we can estimate that this individual was at least 13 years old,” says Leakey Foundation grantee Bence Viola of the University of Toronto. The bone fragment was found in 2012 at Denisova Cave (Russia) by Russian archaeologists. 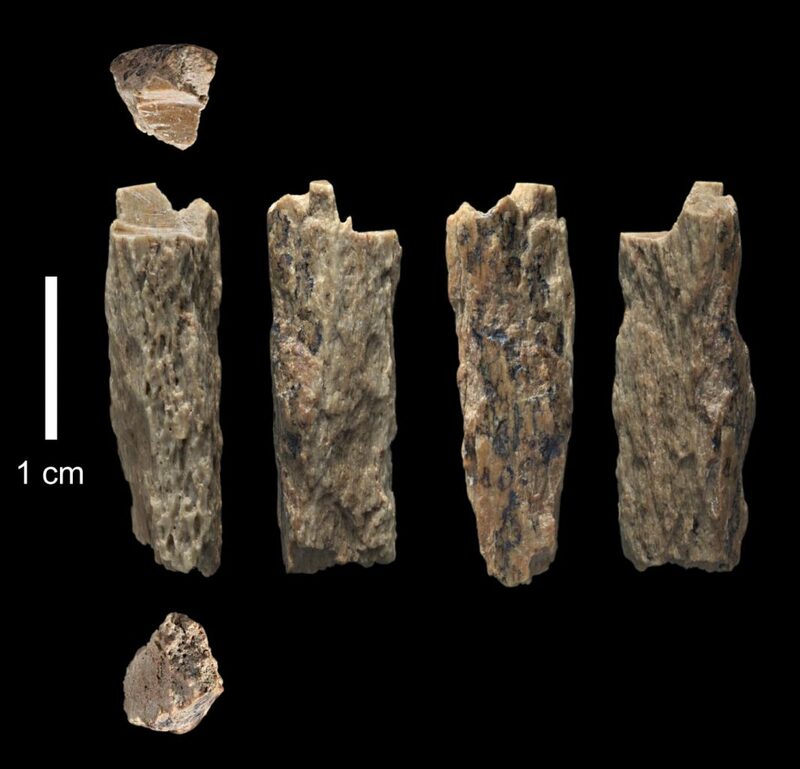 It was brought to Leipzig for genetic analyses after it was identified as a hominin bone based on its protein composition. “An interesting aspect of this genome is that it allows us to learn things about two populations – the Neanderthals from the mother’s side, and the Denisovans from the father’s side,” explains Fabrizio Mafessoni from the MPI-EVA who co-authored the study. 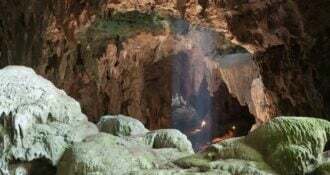 The researchers determined that the mother was genetically closer to Neanderthals who lived in western Europe than to a Neanderthal individual that lived earlier in Denisova Cave. This shows that Neanderthals migrated between western and eastern Eurasia tens of thousands of years before their disappearance. Analyses of the genome also revealed that the Denisovan father had at least one Neandertal ancestor further back in his family tree. “So from this single genome, we are able to detect multiple instances of interactions between Neanderthals and Denisovans,” says Benjamin Vernot from the MPI-EVA, the third co-author of the study.